Field Engineer currently employs over 40,000 freelance IT engineers that specialize in fields such as Cisco router and switch deployment. Hiring a freelance Cisco engineer with Field Engineer means that you’ll work together with an experienced and skilled IT engineer that has been verified and vetted, and our management tools allow you unparalleled transparency into the entire process. 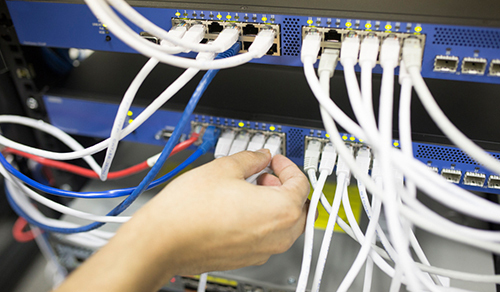 The deployment of Cisco routers and switches used to be an expensive task, but with Field Engineer, we can help you drastically cut costs while also offering you the chance to take your business overseas with our global network of skilled IT engineers. With more businesses expanding overseas and growing their brand influence, Field Engineer offers your company a chance to break into a global market at a lower cost. Whether it’s the deployment of a Cisco enterprise router for an overseas client or switch installations requested by a client on the other side of the country, utilizing On-Demand Field Engineer services enables you to accept those requests without forcing you to hire new employees. Sign up for free at FieldEngineer and post your work orders today!